Online retailer JD has done it again. This time it has gone into partnership with NetEase, another internet giant, to place its advertising in the last few remaining slots on the Chinese internet. This may be a slight over exaggeration, but it follows just a month after the announcement of a similar partnership with internet security firm Qihoo 360, which came a fortnight after the deal with Baidu which in turn followed deals with Tencent and Toutiao. But again, this is a two-way thing and JD will also be getting NetEase’s data to allow for precision targeting of users. NetEase goes all the way back to 1997 and in some ways is a little like Yahoo. It’s one of the big internet portals and runs a popular email service as well the music streaming service NetEase Cloud Music. It is also one of China’s big online and mobile games developers with hits such as Fantasy Westward Journey and reaches a wide variety of different types of user. The spread of its services means JD will be able to track users across multiple touchpoints across the internet and mobile. 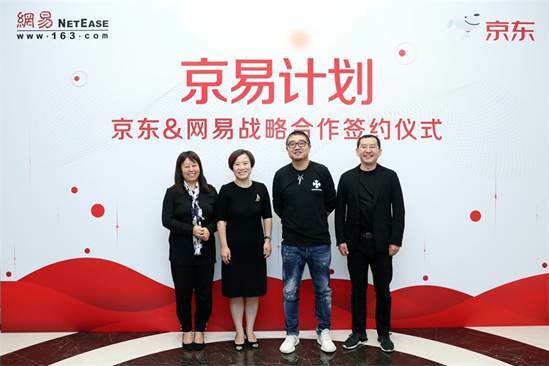 Using big data insights from both partners, JD.com and NetEase will offer tailored advertisement and shopping guidance content across the NetEase ecosystem. This is expected to increase the conversion rate for JD.com’s brands and merchants. Brands on JD.com will also benefit from access to new marketing channels via NetEase’s extensive product portfolio. Along with the sale of their data, NetEase users can also look forward to the integration of JD’s live webcast channel into the NetEase News app’s live-streaming section “to provide rich, video-based shopping guidance to NetEase users,” whether or not they were actually hoping to catch up on the news.